Trout comes in many varieties and the flavour varies depending on diet and location. Like salmon, it is an oily fish and benefits from low cooking temperatures to really bring out the flavour of the fish without the direct heat of traditional cooking methods. If you prefer trout without the skin, just remove it after cooking. Try adding different flavours to the bag before cooking; herbs such as thyme and basil give a nice fragrance to the fish and a slice of lemon peel gives a citrus note. You could also try marinating the fish before cooking; try soy sauce and honey or miso paste. 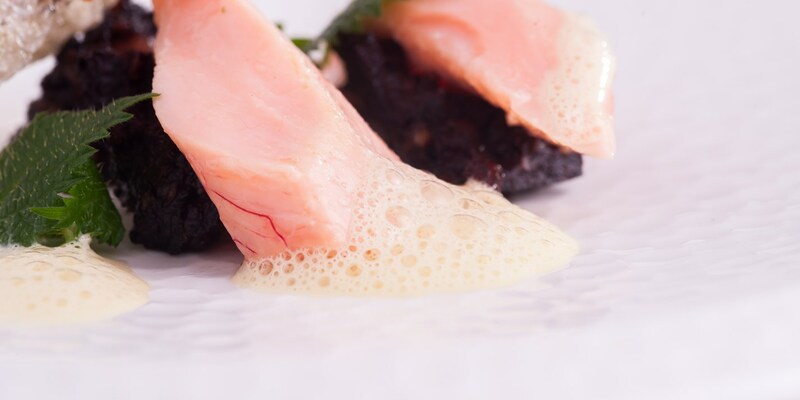 Nathan Outlaw cures his trout in cider and serves it with crab sauce and sea vegetables. Alan Murchison serves Sea trout with ruby chard and clams and Matthew Tomkinson’s dish of Sea trout with asparagus, peas and caviar is a great summer meal – you can leave out the caviar for a midweek supper!